We all hate pop-ups, right? Well, technically yes. In most studies, 90-95% of respondents claim to hate pop-ups. So, if this is true, why are they still used all over the internet? The honest truth of the matter is that they are used because, as much as people hate them, they respond to them. Many website owners have seen an increase in sales as much as 40% after adding pop-ups. However, you need to be careful and use un-annoying tactics when integrating pop-ups in your site. As always, be sure to test your popup, as these are general guidelines and may not be the best for your traffic. Consult our Opt-in Email Newsletter Popup Best Practices for more inspiration on what to test. 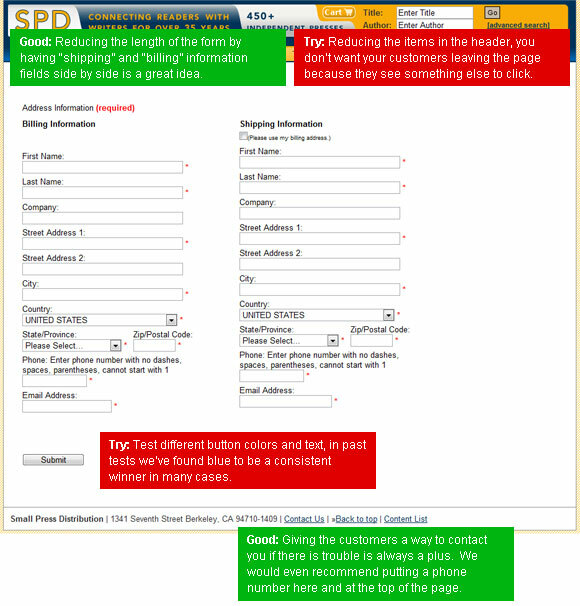 Online Checkout Forms – Get Inspired Now! 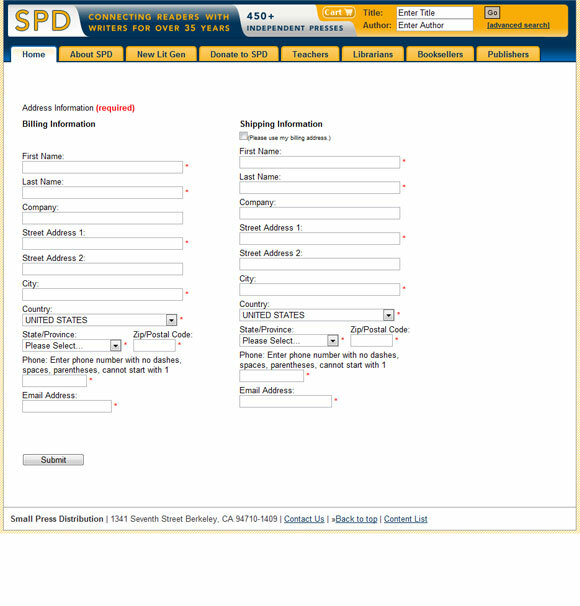 Normally we focus on landing pages, but today we’re opening it up to online checkout forms. Too many companies are killing their completion rates. We can stand by no longer. These sites are prime candidates for cart abandonment. If visitors scurry when they hit the checkout page, consider a solution that will capture visitors emails as they leave and allow you to remarket to them with a targeted campaign. To see our comments, just rollover the images and our notes and suggestions will popup. Posted in Landing Page Design, Landing Page Inspiration, Landing Page Optimization TipsTagged checkout, shopping cart, shopping cart abandonment2 Comments on Online Checkout Forms – Get Inspired Now! Holiday season is one of the most important times for retailers online and offline, so we wanted to look around their sites to see how they are doing things differently for the holiday season. We expect lots of sites to start including ample holiday themed elements, and elements like a shipping table so you know you will get your items shipped by Christmas time. We’ll post more holiday themed landing pages as we find them. Have a rockin’ Holiday Season!! Election Day 2012 is here! Moderators have grilled the candidates on “important issues,” but they will dodge the most important topic of all: landing page optimization. We’re not afraid to ask the tough questions. Following our analysis of the 2012 presidential candidates’ homepages, today we look at their strategies for PPC landing pages.